Rowing Crew – The Vogalonga - Together, We Make Memories! Venice really knows how to throw a party! From the masked balls of Carnivale, to the Feast of the Redeemer (Il Redentore), the Madonna della Salute in November, the Venice Film Festival, and the Biennale art festival every other year. There is always something happening, just happened or about to happen in La Serenissima! 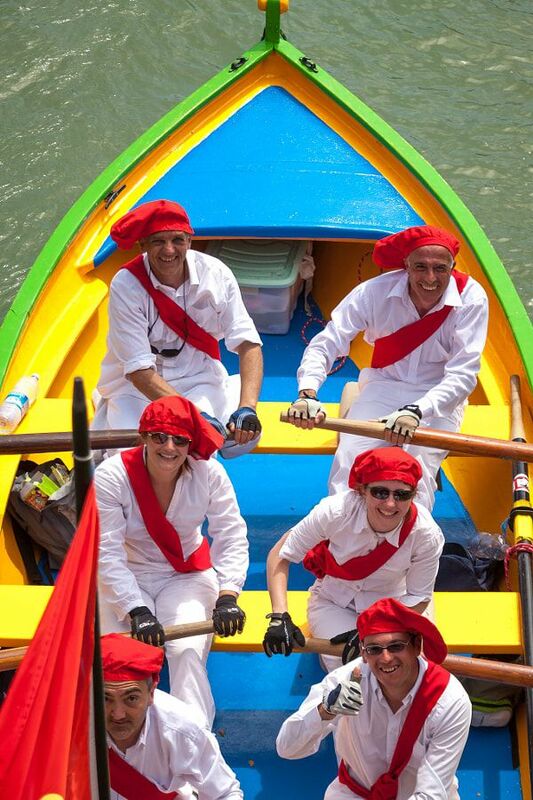 Here costumed rowers in one of the thousand-plus boats come to the end of the Vogalonga, a 30 km long rowing event around the Venetian lagoon, held to support the use of the oar instead of the motor. This fine art image by Pat Kofahl is available in multiple sizes on paper, canvas, metal and plexiglass. Prices start at $49.00!